Nine historic Broadway theaters will be more accessible to the disabled under an agreement signed by a major theater chain and the federal government. U.S. Attorney Preet Bharara says the deal announced Jan. 29 with the Nederlander Organization will eliminate hundreds of barriers to accessibility. A similar deal was reached in 2003 with Shubert Theaters. Bharara says the combined agreements cover more than 20 Broadway theaters. The government says two of the theaters affected by the latest deal were built more than 100 years ago. Four others were constructed during the 1920s. The theaters include the Nederlander, Gershwin, Brooks Atkinson, Lunt Fontanne, Marquis, Minskoff, Neil Simon, Palace and Richard Rodgers. 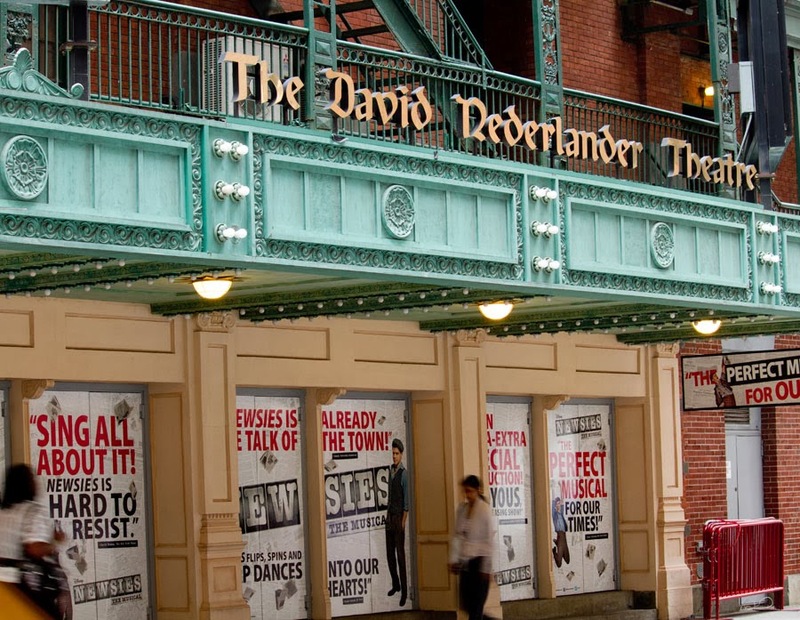 The Nederlander organization also will pay a $45,000 civil penalty. Speaking to HuffPost UK Lifestyle, Alexsandro reveals the issue of disability and social exclusion is close to his heart. "Two years ago I had a rare form of cancer and after surgery to remove it some parts of my body are now paralyzed. I am now a disabled person, and every day I have to deal with all forms of discrimination," he told HuffPost UK Lifestyle. BBC has today announced that Henry ‘The Fonz’ Winkler’s brand-new comedy drama series, Hank Zipzer - which is coming to CBBC on 28 January - will first premiere on BBC iPlayer. Audiences will be able to watch the show a week before it’s aired on CBBC, starting with the first episode being available on 21 January and continuing on a weekly basis throughout the series. This is a part of the BBC Trust’s approved BBC iPlayer trial to premiere up to 40 hours of programmes across the service, exploring the role of online premiering across a range of genres and channels. The 13x30-minute series - which is inspired by the book series Hank Zipzer: The World’s Greatest Underachiever – is based on Henry Winkler’s own experiences as a young boy growing up with dyslexia. Fast-paced and funny, the series follows the everyday life of 12-year-old Hank Zipzer, a young man with a unique perspective on the world. 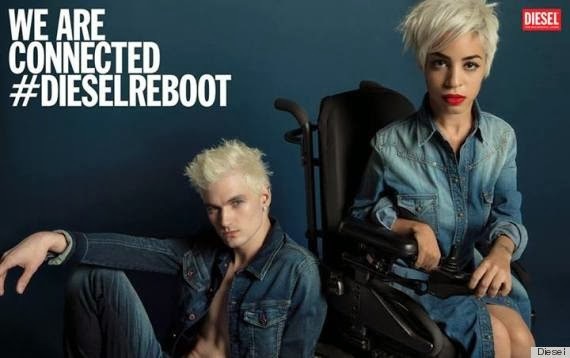 Among his cast of 23 models featured in Diesel's new campaign, Nicola Formichetti tapped Jillian Mercado, style blogger and Fashion Week regular who uses a wheelchair. Mercado, who was diagnosed with spastic muscular dystrophy, rocks Diesel's signature denim alongside artist James Astronaut in the brand's Spring 2014 ads, which were styled by Formichetti and shot by Inez van Lamsweerde and Vinoodh Matadin. "It's never easy for her to move from point A to point B, but she's totally fearless and has really been an inspiration to me," Formichetti told Women's Wear Daily. "You don't have to be a conventional model type to represent a brand." The inspirational 23-year-old grew up in New York's Upper West Side, where she gained a keen interest in fashion. She went on to study merchandising at the Fashion Institute of Technology and intern at Allure before starting her coverage of New York Fashion Week for both Patrick McMullan’s PMc Magazine and her personal style blog, Manufactured 1987. "I knew I was throwing myself into the fire when I wanted to work in fashion," she told the Daily Beast back in February 2013. "I work equally as hard as everyone else does in this industry, and my chair doesn't give me permission to slack off. My passion is equal to yours -- I just come with a chair that moves." With her Diesel ads set to break in the March issues of Vogue and Interview, we'd say the fashion world is more than ready for Mercado's passion and work ethic. Luckily, Mercado takes time to enjoy the fruits of her efforts. "You all have no idea how speechless I am right now," she wrote in her blog after seeing the Diesel shot. "Thank you for giving me a chance of a lifetime and believing in me. 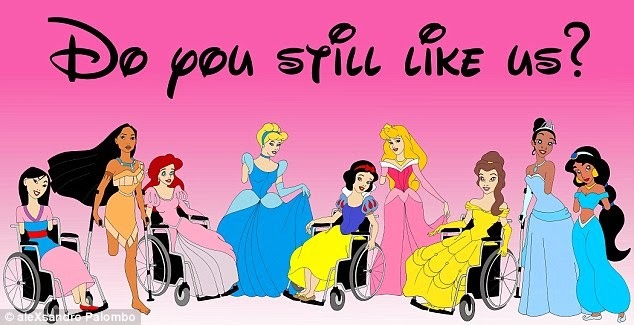 This is beyond everything." Two Saskatchewan dancers are proving it doesn’t matter who you are: you can still become a dancer. 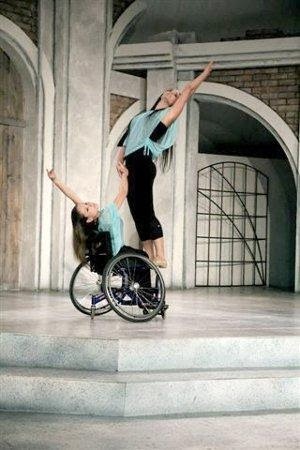 Brooke Bittner and her dance partner Sheri-Lynn Turgeon are promoting the idea that those in wheelchairs can still enjoy dance. The two have been practicing and performing together for the last five years even though Turgeon is confined to a wheelchair. Bittner said when she first met Turgeon she really wanted to take part in a competition. The teacher she was working with at the time didn’t believe in competitions, which is why the pair teamed-up. “I thought it would be a perfect opportunity for her to come with me. And she’s my friend, so it was just for fun when we started. It definitely became a lot more than just dancing for the two of us,” Bittner said. Both women live and dance in Saskatoon, but Bittner is from Shellbrook and Turgeon is from Martensville. Bittner said she was drawn into working with Turgeon because it would provide a new experience. They took part in their first competition in Biggar about three years ago. “Most of the girls had never seen anything like that so we got some crazy looks going out on stage,” she said. Following that they had people come out to other competitions and festivals they were taking part in, just to watch them perform. The pair now rent a space through Dance Saskatchewan, working out all of their own choreography. They've already been through some competitions together and they're hoping to be able to compete in this year’s Prince Albert Festival of Dance. They most recently performed at the Shakespeare on the Saskatchewan festival in Saskatoon this past August. The two are promoting their special brand of dancing in the hopes that others will take it up. “One of the girls that Sheri has known for a long time, she was a big dancer growing up and she was actually in a car accident and became paralyzed. And one of her biggest problems was she couldn’t dance anymore. She insisted there is no perfect body type when it comes to dancing; everyone can and should be able to do it. Both Bittner and Turgeon got a chance to train under Kitty Lunn in New York City. Lunn was a prima ballerina who, through a slip-and-fall accident, broke her neck and became paralyzed from the waist down. “Because dance was such a big part of [Lunn’s] life she rewrote the [Royal Conservatory Ballet Syllabus] and accommodated for wheelchair dancing,” Bittner explained. Bittner and Turgeon took part in a week-long session with Lunn. “She taught us a bunch of stuff and we got to see what different kinds of things you could do with the wheelchair,” Bittner said. I have developed an online training course about disability advocacy using media that is open source so advocates around the world can use it. I hope it will be translated into many languages. The online course, Disability Advocacy through Media, will introduce advocates to how to use traditional and online media advocacy techniques to build awareness of disability issues. It covers the use of social media, videos, websites and blogs for disability advocacy. It includes e-lectures, self-teaching assignments, and all-online readings and other resources. This course is a collaborative project between the College of Fine Arts and Communication and the Hussman Center for Adults with Autism, both at Towson University in Towson, Maryland, USA. For more information about the Hussman Center, visit its website here. This course is meant to be used and shared. If you have comments or ideas about the course, feel free to contact me, Beth Haller, at bah621@gmail.com. Unit 1: What has happened to traditional news media in the USA? It will be quite some show of skill. The first kick of the 2014 Football World Cup in Brazil might not come from the likes of Cristiano Ronaldo or Lionel Messi. 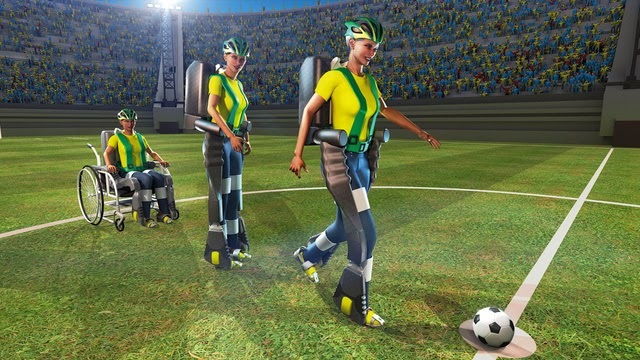 Instead, if all goes to plan, a teenager paralyzed from the waist down will use the world's most advanced mind-controlled exoskeleton to swing at the ball. The spectacle will showcase the Walk Again Project, an international collaboration using technology to overcome paralysis. The team's exoskeleton supports the lower body and is controlled by patterns of brain activity detected by electrodes placed either on the scalp or within the brain itself. These signals are sent wirelessly to a computer worn by the wearer, that converts them into movements. 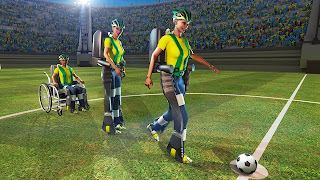 The kicker will be one of a small group of people training in Brazil with a virtual exoskeleton before trying the real thing. Movement alone isn't enough to make the experience of walking feel natural, so the team hopes to incorporate sensors into the exoskeleton that feed information about touch, temperature and force back to the wearer. That feedback will come through a visual display or a vibrating motor. Eventually these sensations could be transmitted straight to the brain, which would allow the wearer to truly feel that the exoskeleton is part of their body. "The vibrations can replicate the sensation of touching the ground, rolling off the toe and kicking off again," says the lead robotic engineer Gordon Cheng, at the Technical University of Munich, Germany. The challenge will be to match those sensations to the brain patterns and movements. "There's so much detail in this, it's phenomenal," he says.